Steamboat Springs High School senior Corey Petix battles for a ball with a Summit player Saturday in Frisco. Petix scored in the game helping the Sailors collected a 3-0 victory for the team’s sixth straight win. Steamboat Springs sophomore Hailey Moss pushes toward the goal in the first half of Saturday’s game against Summit in Frisco. 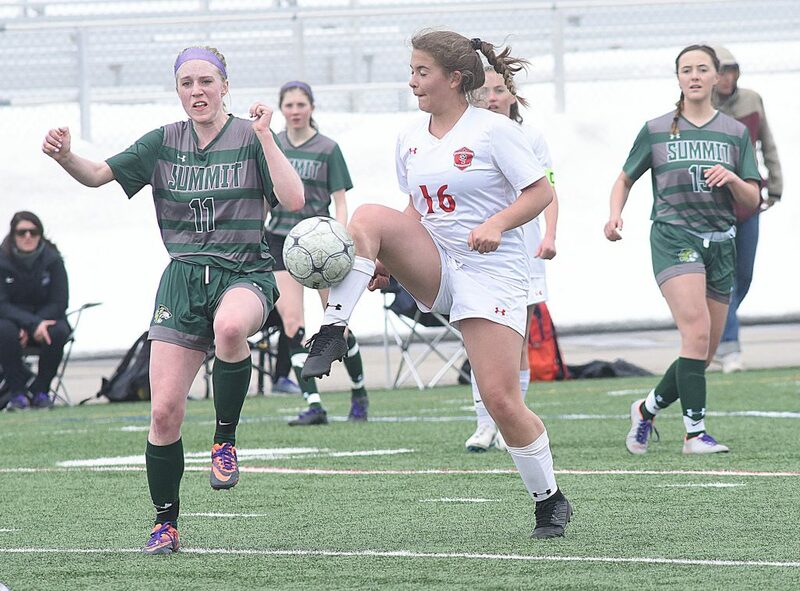 Steamboat Springs junior Sophie Leeson drives a shot toward goal in the first half of Saturday’s game against Summit in Frisco. The Sailors won the game 3-0. 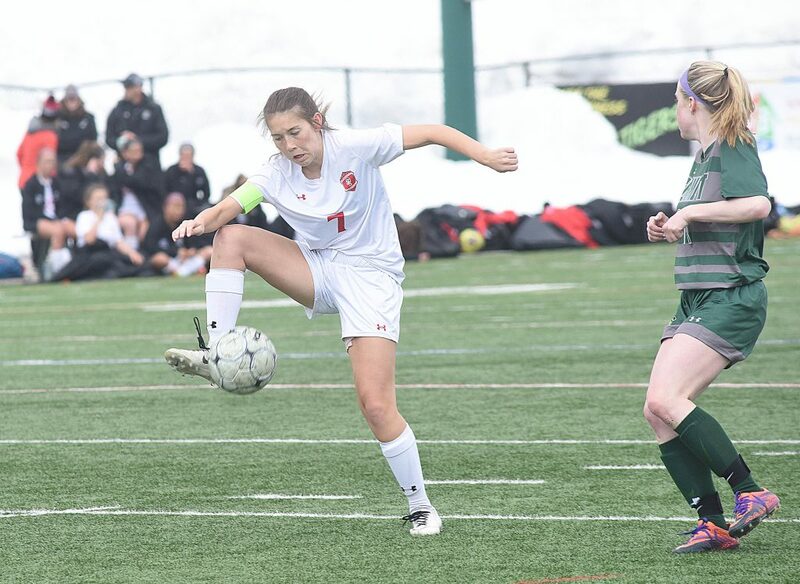 Steamboat Springs seniors Megan Salyer knocks down a goal kick in the second half of Saturday’s game against Summit in Frisco. The Sailors won the game 3-0. Steamboat Springs sophomore Mollie Brown passes the ball up field in the first half of Saturday’s game against Summit in Frisco. The Sailors won the game 3-0. 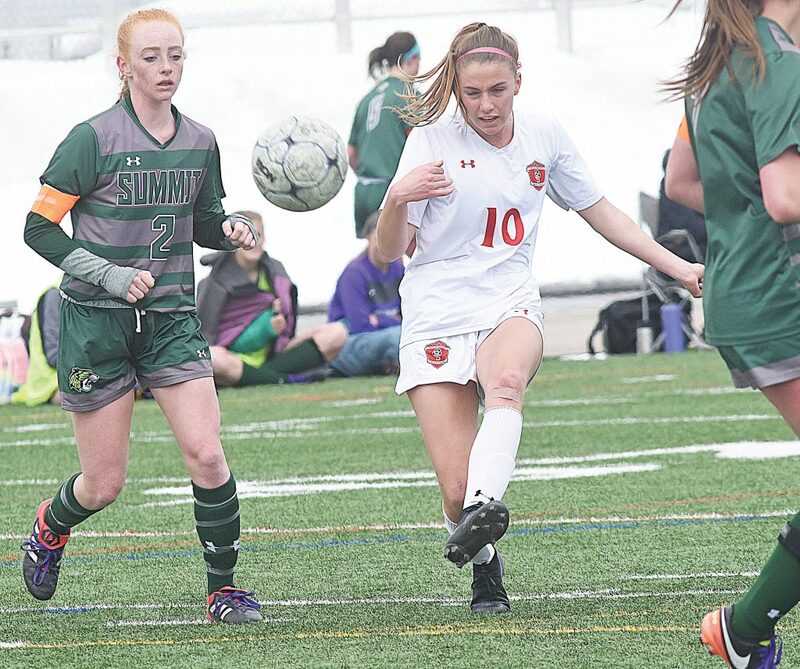 FRISCO — Saturday’s game against the Summit Tigers in Frisco is one that senior Corey Petix will remember long after she has graduated from Steamboat Springs High School. The goal was one of three the Sailors collected in a 3-0 win over Summit in Frisco on Saturday. 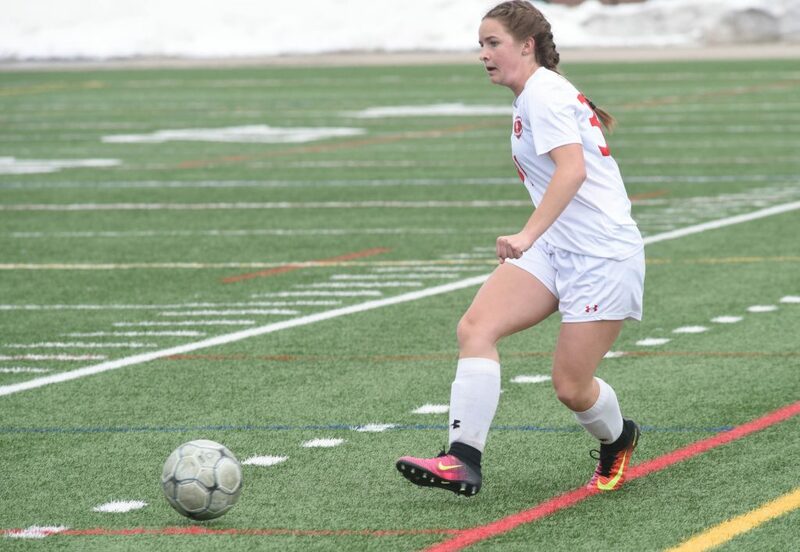 Senior Rachelle Koly scored the team’s first goal at the 8-minute mark after being set up by a nice through ball from fellow senior Delaney Moon. Koly raced behind the Tigers defense and beat the goalie with a shot to the left side of the net. Petix’s goal came at the 27-minute mark and gave the Sailors a 2-0 lead. It was set up by Lilli Armstrong to give the Sailors a 2-0 lead at the half. Armstrong had a breakaway up the line, and took the ball deep before making the pass to Petix, who had dropped back to the 6-yard line and was waiting for the cross. Armstrong heard her teammate calling for the ball, and hit Petix with the pass. Petix was able to find a lane through a shifting Summit defense and landed a hard shot just inside the post. 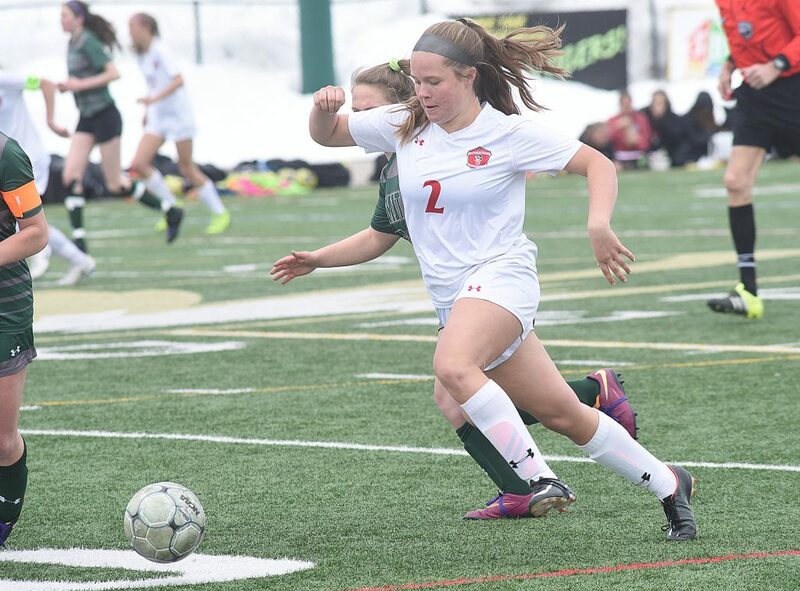 Steamboat’s final goal of the game came a the 52-minute mark when the Steamboat’s back line found Armstrong who was able to sprint past the defense and score. 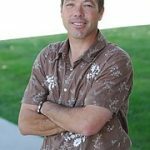 The two-hour trip to Frisco comes in the wake of a three-game homestand that has turned the tide for the Sailors who opened the season with losses to Colorado Academy and Battle Mountain. On Saturday the Sailors hit the road to take on Summit for the second time this season. Steamboat won the first game 7-0, and completed the sweep when the players walked off the field Saturday. The win extends the Sailors current winning streak to six games improving to 6-2 overall for the season and 4-1 in the Western Slope conference. The Sailors have outscored their opponents 25-6 in that stretch. Steamboat currently sits in second place tied with Glenwood Springs at 3-1. Battle Mountain is unbeaten in conference play at 3-0 win and a 2-0 win over Steamboat. The Sailors were coming off of a 4-1 victory over Glenwood Springs at home last Thursday. The Demons hosted Arvada West in a nonconference game Saturday, and Battle Mountain traveled to take on Palisade.